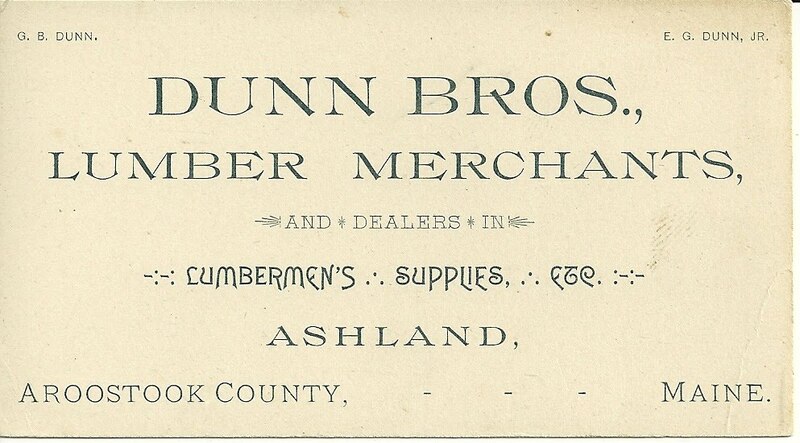 Heirlooms Reunited: Oversized Business Card of Dunn Brothers, Lumber Merchants, Ashland, Maine - George Bancroft Dunn and Elbridge Gerry Dunn, Jr.
with a bit of additional info.That is all I have found on the Dr. to date. Interestingly, I note that Dr. Henry M. Chapman married Deborah C. DUNN - hmmm! Their marriage record shows the Dr. to be living at Ashland, and the bride at Houlton. This was in 1904, after your father was born. I may have some time today to do some followup on Dr. Chapman and perhaps learn how he happened to be practicing at Ashland.